Check Out your options for Permanent Residence to Canada. This form is for professionals and skilled workers. The evaluation is based on the individual’s education, training and work experience, which reflects their ability to economically establish themselves in Canada, taking into consideration the Labour market conditions in Canada. This form is for individuals who are owners of business Or have management experience, and have a high net worth. The individuals are evaluated based on the value of their personal net worth, and management experience during the last five years. This form is for individual who wish to sponsor their Spouse/Common-Law Partner and/or Dependant Children. 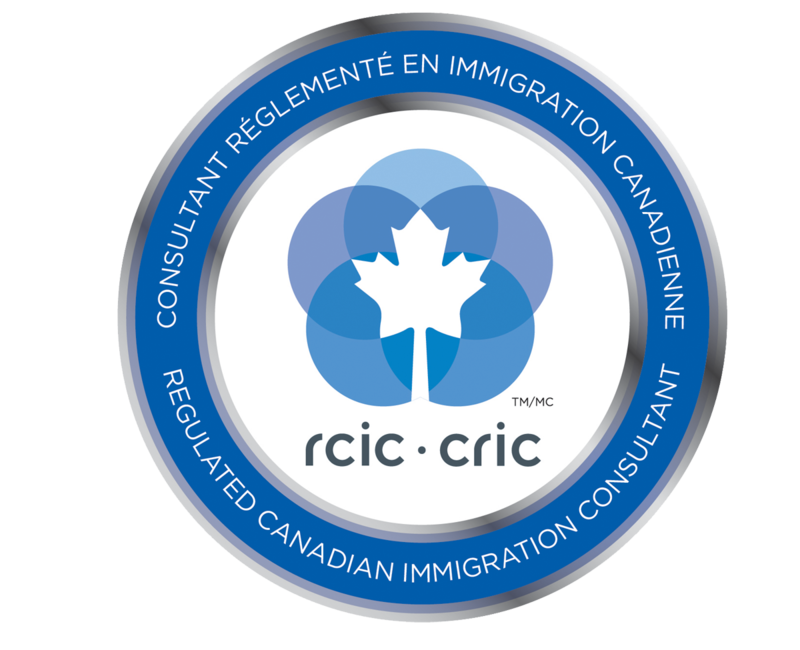 This form is for Canadian citizen or Permanent Resident who wish to sponsor their spouse, common-law partner, or dependent children for Canadian Immigration. This form is for the sponsorship of Parents and Grandparents.Federal Family Class for Parents/Grandparents or SuperVisa. Federal Family Class for Parents/Grandparents or SuperVisa. Nationality: Select country...AfghanistanAlbaniaAlgeriaAndorraAngolaAntigua and BarbudaArgentinaArmeniaAustraliaAustriaAzerbaijanBahamasBahrainBangladeshBarbadosBelarusBelgiumBelizeBeninBhutanBoliviaBosnia and HerzegovinaBotswanaBrazilBruneiBulgariaBurkina FasoBurundiCambodiaCameroonCanadaCape VerdeCentral African RepublicChadChileChinaColombiaComorosCongo-KinshasaCongo-BrazzavilleCosta RicaCote d Ivoire (Ivory Coast)CroatiaCubaCyprusCzech RepublicDenmarkDjiboutiDominicaDominican RepublicEcuadorEgyptEl SalvadorEquatorial GuineaEritreaEstoniaEthiopiaFijiFinlandFranceGabonGambiaGeorgiaGermanyGhanaGreeceGrenadaGuatemalaGuineaGuinea-BissauGuyanaHaitiHondurasHungaryIcelandIndiaIndonesiaIranIraqIrelandIsraelItalyJamaicaJapanJordanKazakhstanKenyaKiribatiKorea (North)Korea (South)KuwaitKyrgyzstanLaosLatviaLebanonLesothoLiberiaLibyaLiechtensteinLithuaniaLuxembourgMacedoniaMadagascarMalawiMalaysiaMaldivesMaliMaltaMarshall IslandsMauritaniaMauritiusMexicoMicronesiaMoldovaMonacoMongoliaMontenegroMoroccoMozambiqueMyanmar (Burma)NamibiaNauruNepalNetherlandsNew ZealandNicaraguaNigerNigeriaNorwayOmanPakistanPalauPanamaPapua New GuineaParaguayPeruPhilippinesPolandPortugalQatarRomaniaRussiaRwandaSaint Kitts and NevisSaint LuciaSaint Vincent and the GrenadinesSamoaSan MarinoSao Tome and PrincipeSaudi ArabiaSenegalSerbiaSeychellesSierra LeoneSingaporeSlovakiaSloveniaSolomon IslandsSomaliaSouth AfricaSpainSri LankaSudanSurinameSwazilandSwedenSwitzerlandSyriaTajikistanTanzaniaThailandTimor-Leste (East Timor)TogoTongaTrinidad and TobagoTunisiaTurkeyTurkmenistanTuvaluUgandaUkraineUnited Arab EmiratesUnited KingdomUnited StatesUruguayUzbekistanVanuatuVatican CityVenezuelaViet NamYemenZambiaZimbabwe----------------Territories-----------------AbkhaziaTaiwanNorthern CyprusPridnestrovie (Transnistria)SomalilandSouth OssetiaAshmore and Cartier IslandsChristmas IslandCocos (Keeling) IslandsCoral Sea IslandsHeard Island and McDonald IslandsNorfolk IslandNew CaledoniaFrench PolynesiaMayotteSaint BarthelemySaint MartinSaint Pierre and MiquelonWallis and FutunaFrench Southern and Antarctic LandsClipperton IslandBouvet IslandCook IslandsNiueTokelauGuernseyIsle of ManJerseyAnguillaBermudaBritish Indian Ocean TerritoryBritish Sovereign Base AreBritish Virgin IslandsCayman IslandsFalkland Islands (Islas Malvinas)GibraltarMontserratPitcairn IslandsSaint HelenaSouth Georgia and the South Sandwich IslandsTurks and Caicos IslandsNorthern Mariana IslandsPuerto RicoAmerican SamoaBaker IslandGuamHowland IslandJarvis IslandJohnston AtollKingman ReefMidway IslandsNavassa IslandPalmyra AtollU.S. Virgin IslandsWake IslandHong KongMacauFaroe IslandsGreenlandFrench GuianaGuadeloupeMartiniqueReunionAlandArubaNetherlands AntillesSvalbardAscensionTristan da CunhaAntarcticaKosovoPalestinian Territories - Gaza StripPalestinian Territories - West BankWestern SaharaAustralian Antarctic TerritoryRoss DependencyPeter IslandQueen Maud LandBritish Antarctic Territory The country of your Citizenship. Common-Law Partner: A person that you have lived in a conjugal relationship with for at least 12 months. Some candidates for immigration to Canada have already taken a first step and submitted an Express Entry profile. Only candidates who are eligible for one of Canada's federal economic immigration programs are able to submit their profile into the Express Entry pool. Select 'yes' if you have submitted an Express Entry profile prior to completing this assessment form. Otherwise, select 'no'. ADVANCED: You Participate in business meetings and debates; you understand a broad range of general and abstract topics; you write formal and informal notes and summary documents (equivalent to Canadian Language Benchmark 9). HIGH INTERMEDIATE: You understand technical conversations and reading material in their line of work; asks questions, analyzes and compares information in order to make decisions (equivalent to Canadian Language Benchmark 8). INTERMEDIATE: You understand the main points and important details of a conversation and can write routine business correspondence; you are able to participate in small group discussions and express opinions and reservations about a topic (equivalent to Canadian Language Benchmark 7). LOW INTERMEDIATE: You understand and participate in everyday conversation; you understand and utilize limited abstract language; you read texts of a few paragraphs and understand main points; you can write short letters or notes on familiar topics (at least Canadian Language Benchmark 5). BASIC: You can read basic texts no longer than a couple short paragraphs; you ask and answer common questions; you write simple sentences about yourself and your family (at least Canadian Language Benchmark 3). You can only count work experience that you have been paid for. Full-time Work means at least 37.5 hours of work per week. A family member is someone who is related to you or your spouse/common-law partner. With family and/or friends in Canada, you may qualify for certain fast-track Canadian immigration programs. NOTE: Certain provinces allow step (e.g. step-brother) and in-law (e.g. sister-in-law) relationship for purpose of family sponsorship. If your family member has such a relationship, please provide complete information in the Questions and Comments section below.